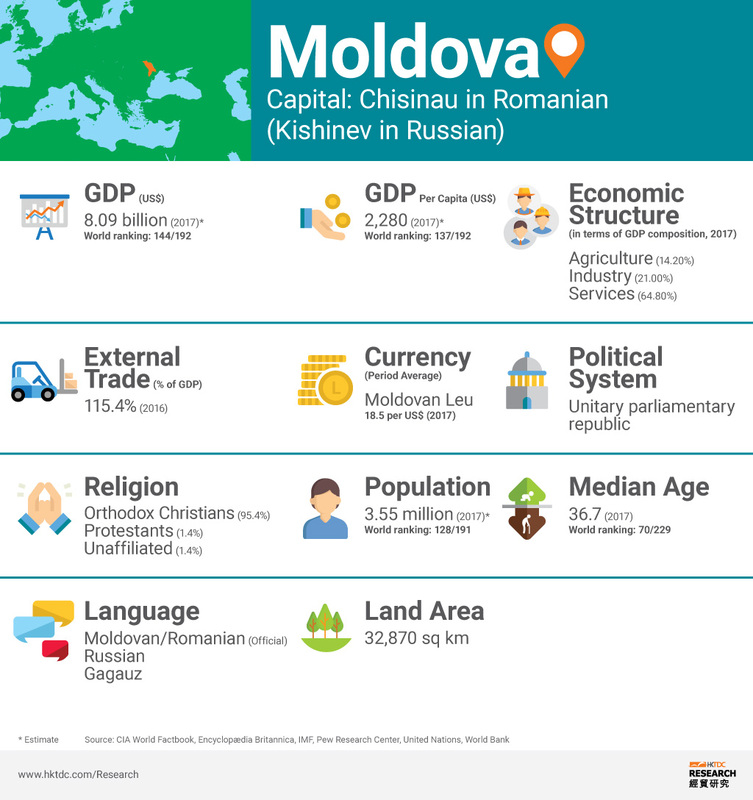 Moldova is a small lower-middle-income economy. Although the poorest country in Europe, it has made significant progress in reducing poverty and promoting inclusive growth since the early 2000s. 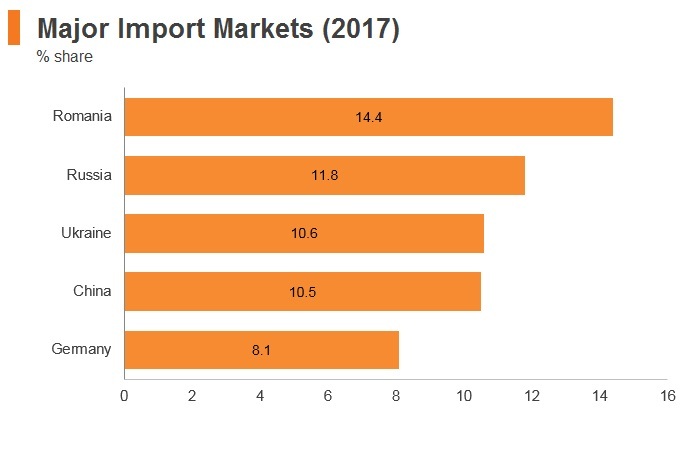 The economy has expanded driven by consumption and fuelled by remittances, which account for a quarter of GDP, among the highest shares in the world. Moldova's constitutional court ruled that presidential elections will be decided by popular vote and not by parliament. Moldova set its presidential election for 30 October, the first time a new head of state will be appointed by popular vote since 2001. Pro-Russian candidate Igor Dodon beat pro-European candidate Maia Sandu and won the presidential election. Moldova joined the World Trade Organisation (WTO) in July 2001. 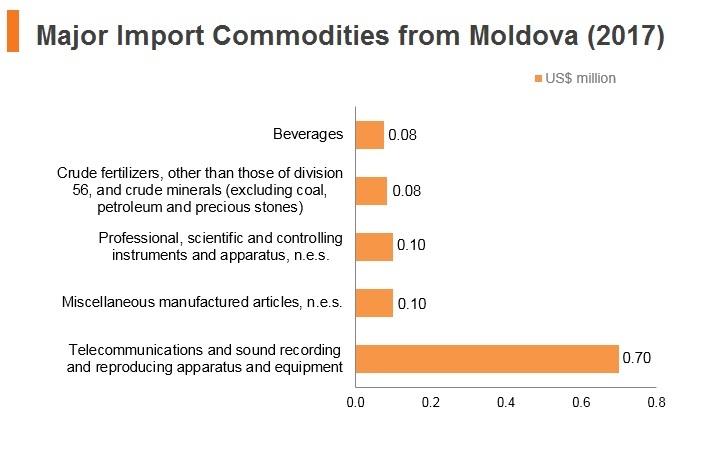 While overall Moldovan customs and trade laws are in compliance with WTO requirements, inconsistent implementation of WTO rules, such as imposition of arbitrary requirements of additional certificates or permits, informal use of quotas on some imports or discriminatory treatment of businesses importing foreign-manufactured goods can constitute to non-tariff barriers to trade. 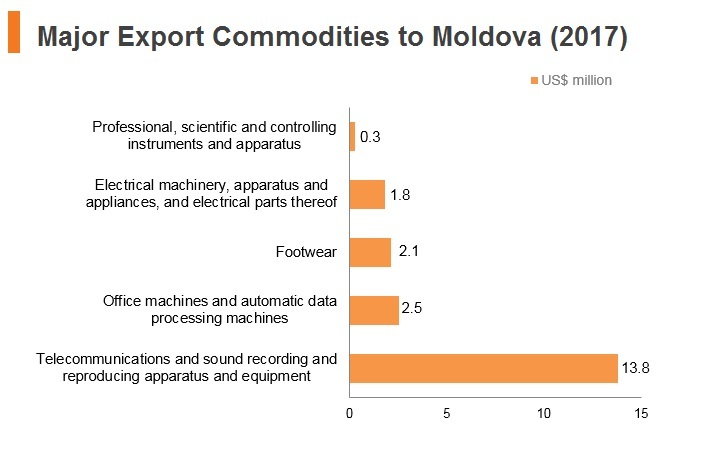 Moldova's average tariff rate is 4.4% for manufactured products and 13.5% for agricultural products. 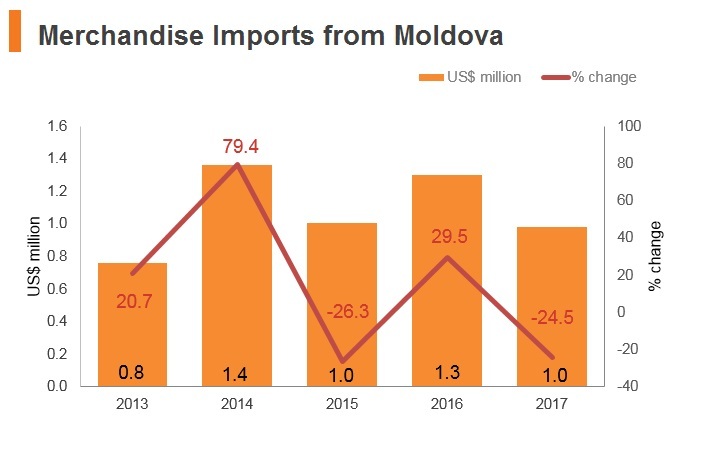 At the same time, Moldova applies a 0% rate on more than 35% of products in the tariff schedule. 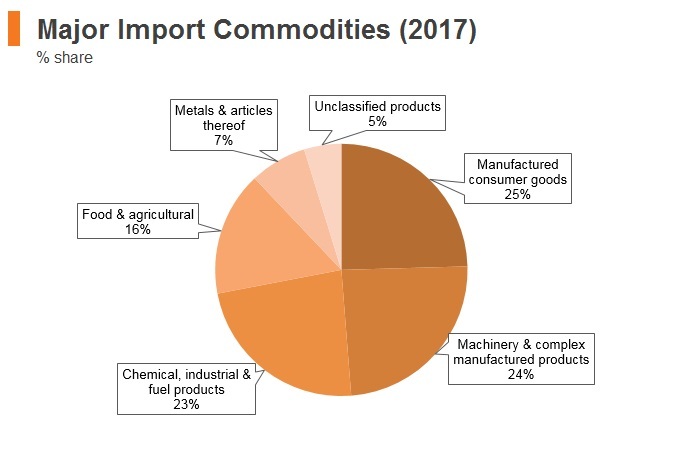 In addition to import tariffs, imported goods are usually subject to a 20% value added tax (VAT). 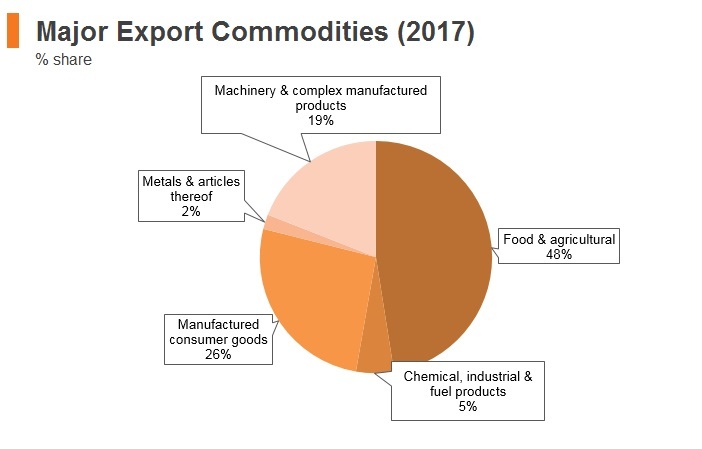 Furthermore, companies have to pay customs processing fees, which are determined on a case-by-case basis and depend on the value and final destination of goods, but the general rule is to apply a 0.4% fee on the value of processed goods. 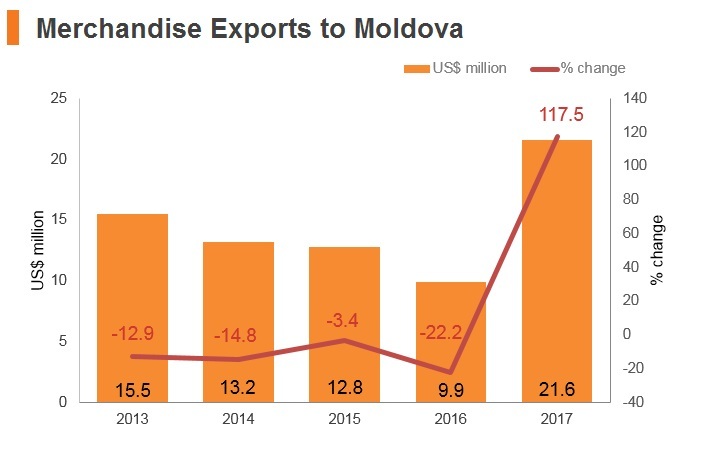 Besides the customs duties, the Moldovan Customs Service may also levy exceptional duties, such as safeguard duty, anti-dumping duty or countervailing duty. The only exceptional duty applied in the past was a safeguard duty on sugar imports. The Central European Free Trade Agreement (CEFTA), consisting of Albania, Bosnia and Herzegovina, Serbia, Moldova, Montenegro, Former Yugoslav Republic of Macedonia (FYROM) and UNMIK/Kosovo came into force in May 2007 and helps increase trade between regional counterparts and fosters non-EU bilateral relations. 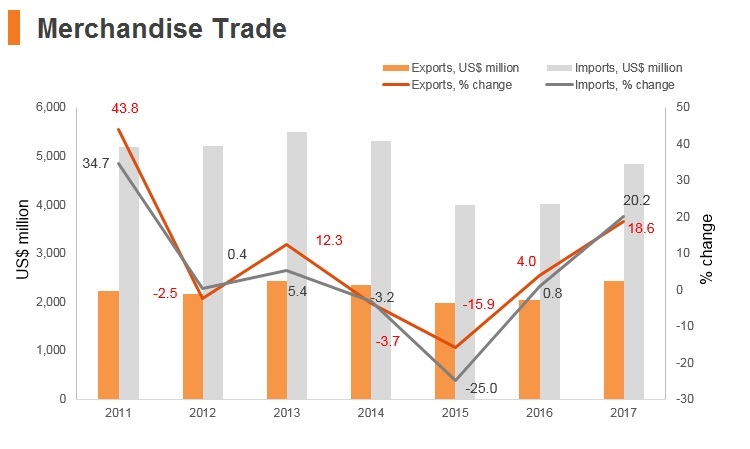 The bilateral Free Trade Agreement between Moldova and Armenia covers trade in goods and entered into force in December 1995. 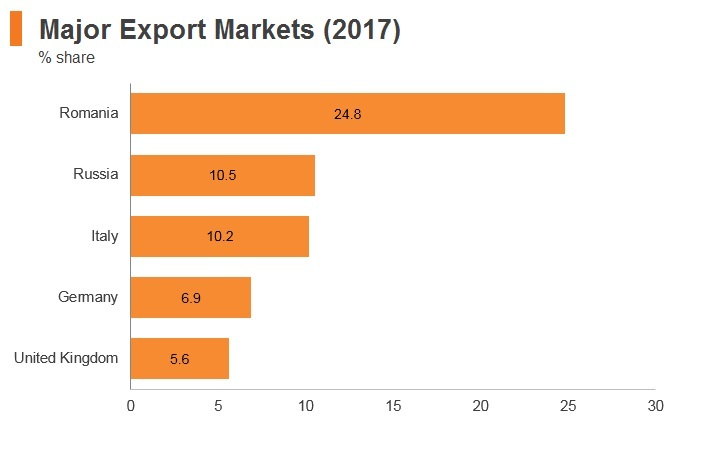 Armenia is Moldova's 54th largest export market, and, as of 2017, Moldova exported 0.1% of its total exports to Armenia, of which pharmaceutical products made up the highest percentage. Under Moldovan law, foreign companies enjoy national treatment in most respects. 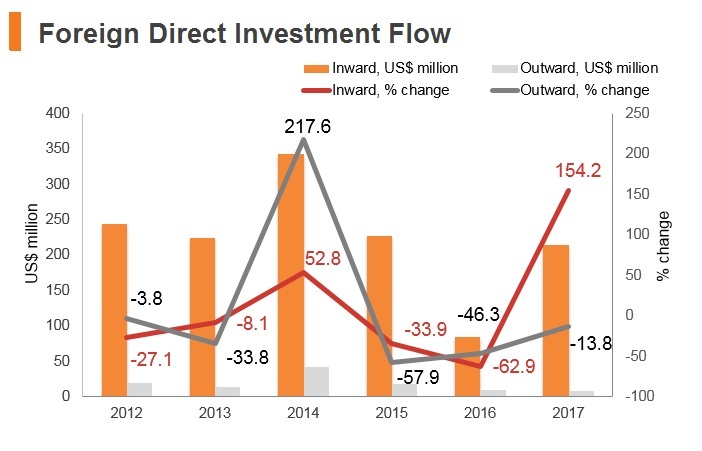 In principle, the government views FDI as vital for sustainable economic growth and poverty reduction. 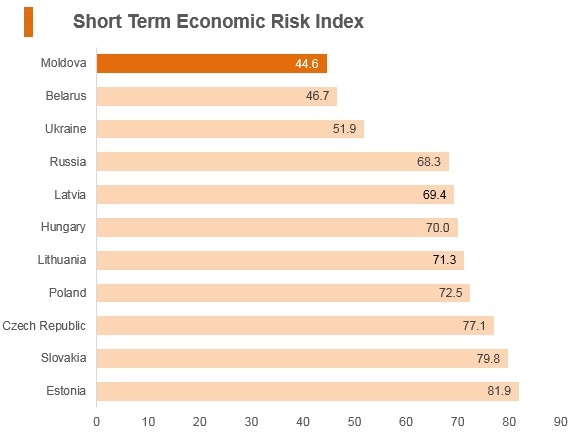 However, the amount of FDI received is far below what Moldova needs to create jobs and promote economic growth. The government has approved an activity program for 2016-2018 that centres on EU integration, with the ultimate goal of applying for EU membership. 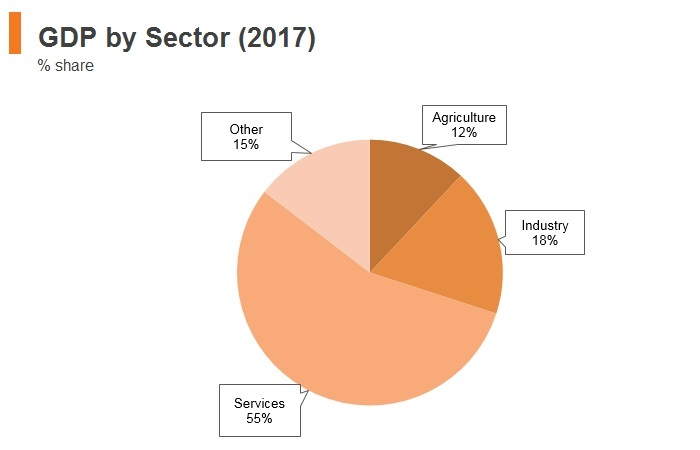 There are no formal limits on foreign control, with the significant exception that foreigners are expressly prohibited from owning agricultural or forest land. 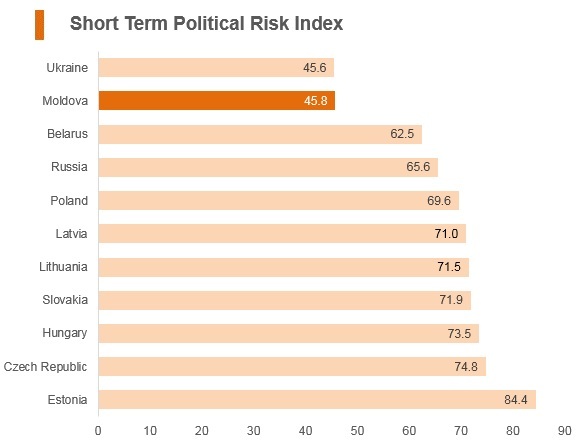 Under Moldovan law, foreign companies enjoy national treatment in most respects. The Law on Investment in Entrepreneurship prohibits discrimination against investments based on citizenship, domicile, residence, place of registration, place of activity, state of origin, or any other grounds. The law provides for equitable and level-field conditions for all investors and rules out discriminatory measures hindering management, operation, maintenance, utilisation, acquisition, extension, or disposal of investments. Moldovan law restricts the right to purchase agricultural and forest land to Moldovan citizens. Foreigners may become owners of such land only through inheritance and may only transfer the land to Moldovan citizens. In 2006, Parliament further restricted the right of sale and purchase of agricultural land to the state, Moldovan citizens, and legal entities without foreign capital. However, foreigners are permitted to buy all other forms of property in Moldova, including land plots under privatised enterprises and land designated for construction. - Furthermore, residents investing at least USD200 million in the FEZ are protected against new changes in the law for the entire period of operation in the FEZ, but such protection cannot extend beyond 20 years. Starting on January 1, 2018, the list of VAT-related terms has been amended and extended in line with European Union (EU) Directives. The government is currently drafting amendments to the Labour Code and a new law on foreign work and migration. The changes are intended to make the legislative framework better equipped for modernisation of the labour market, skills development and vocational education training reform. Moldova has no discriminatory visa, residence, or work-permit requirements inhibiting foreign investors' mobility in Moldova. The government has set up a one-stop shop for foreigners applying for Moldovan residence and work permits in a bid to streamline a complicated procedure. 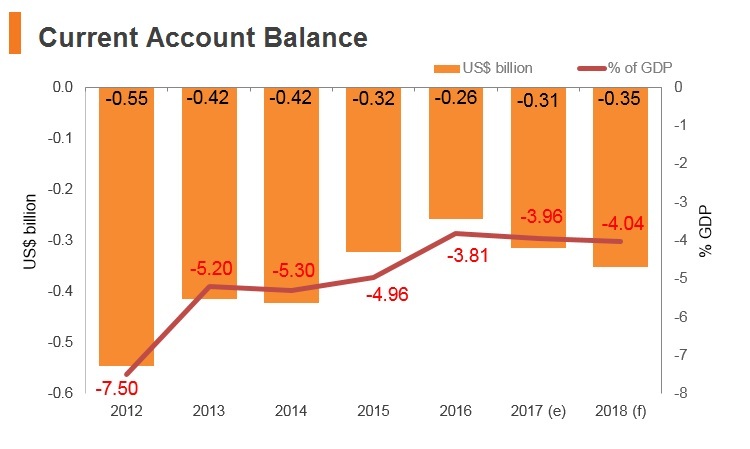 Moldova’s economic environment is weighed down by persistent current account deficits and foreign debt accumulation. 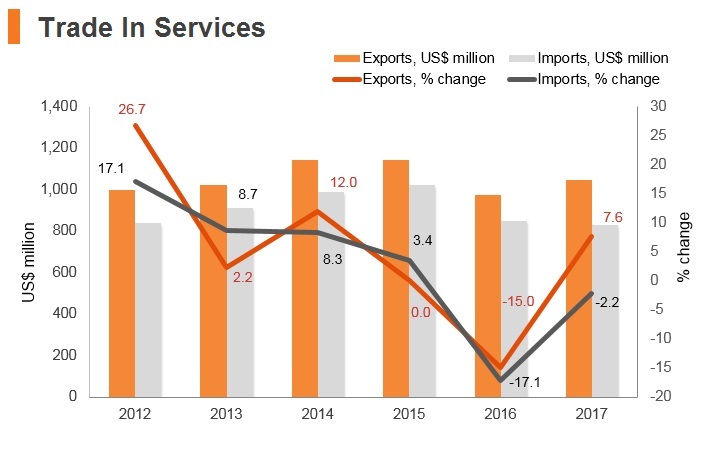 With growth in exports and remittance inflows vulnerable to shocks on account of challenging economic conditions in Russia, the country is exposed to balance of payments pressures that could affect exchange rate stability. 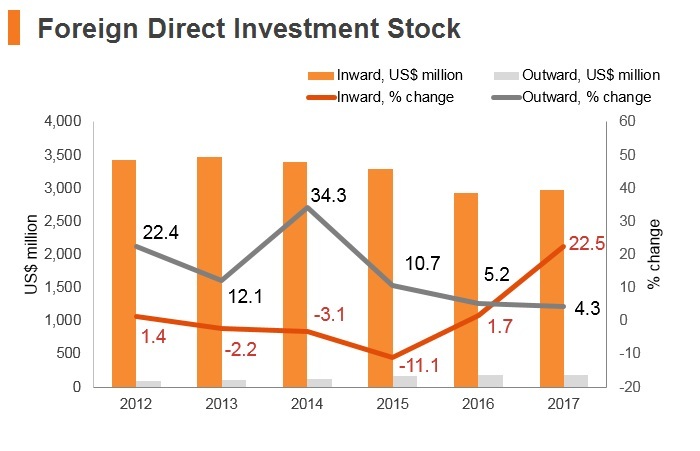 Considerable structural reforms are needed in order to attract meaningful private investment growth and to reduce exposure to disruptions in the agriculture sector or remittance inflows. 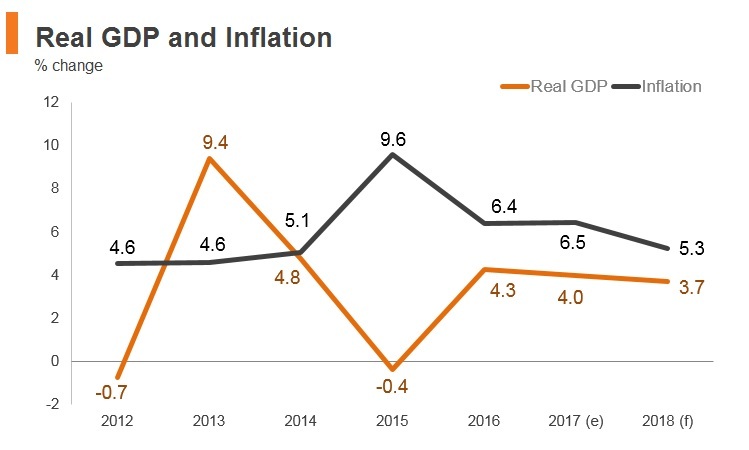 Meanwhile, the bank rescue of 2015 has put a strain on public finances, limiting the government's capacity to invest in growth and development. 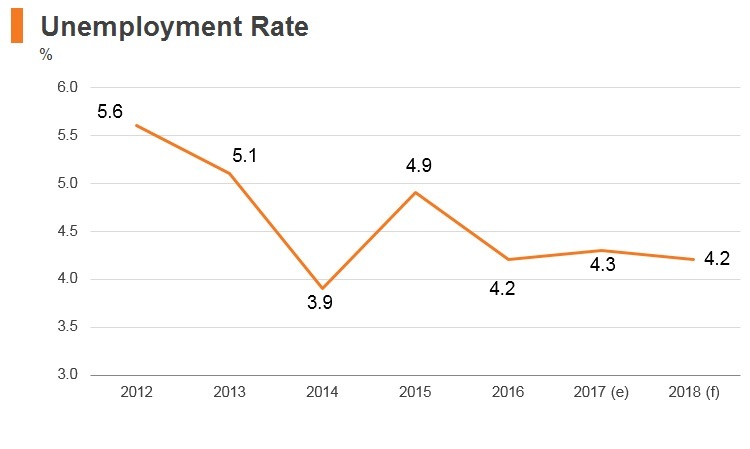 Moldova continues to face a number of structural challenges that include inadequate energy infrastructure and a dwindling workforce. 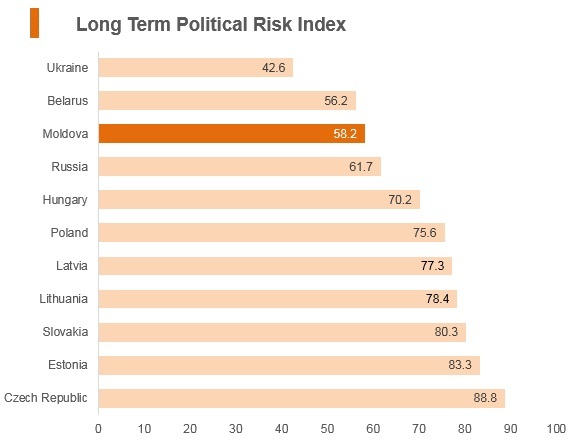 With encouragement from Brussels, Moldova is moving towards closer EU integration that should offer long-term benefits, but deep-rooted corruption and economic hardship are damaging confidence in the government. 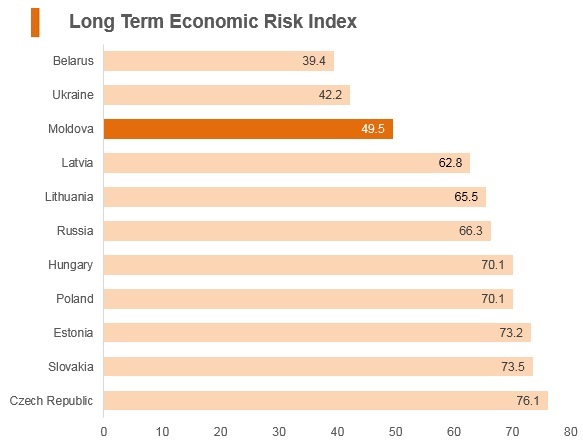 While there are impediments to developing a positive investment climate, Moldova's long-term growth potential remains compelling, particularly if wide-reaching reforms are implemented in the short-to medium term. Moldova has a Bilateral Investment Treaty with China that came into force in March 1995. The Double Taxation Agreement (DTA) between China and Moldova was signed on June 7, 2000 and has entered into force in both countries on May 26, 2001. HKSAR passport holders do not need a visa for Moldova for a period of up to 90 days.